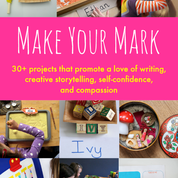 Our new book, Make Your Mark, brings you 30+ projects that will help your child develop a love of writing, creative storytelling, self-confidence and compassion. I really wanted to give my kids one good activity before lunch, but my creative juices were feeling drained. We've been to the doctor for strep throat so many times, that she asked me to pull a well child out of school, to check him too. I'm helping plan school parties, and trying to accomplish Christmas for my family. Yesterday, I'd been pushing all morning to try to recover from the havoc illness and holiday busyness had wrecked on the house, as my sweet toddlers just watched. Have you been there? 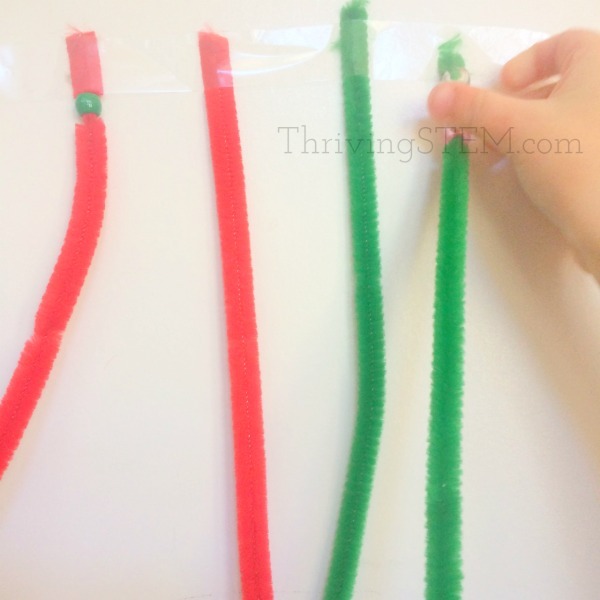 You want to do meaningful fun activities with the kids, but somewhere between the myriad of tiny things they've sowed across the floor, the gummy matter on the table, and the stench of the laundry you forget all your ideas. Sometimes, you need a guide to tell you at exactly what to do, and how to do it. Kind of like this. You'll recognize the perfect activity as soon as you see a great picture. And then you can do exactly what she says. I didn't come up with the variation, she did. Thirty minutes is a long time for a two-year-old to work! My two-year-old ran to it immediately, and we spent a solid thirty minutes on it. Colleen Beck, who wrote this activity had included everything I needed to make her successful. All I needed to do was pull out the supplies. The great thing about this project, is that I have 30 more where it came from, because this project came from my preview copy of the new book I participated in. I wrote an activity for older kids about reducing the mark we make on the environment. 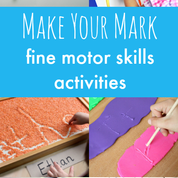 other authors wrote about children make their own personal mark, and some wrote about how to get ready to make a mark by developing those fine motor skills. Here's exactly what you can expect. 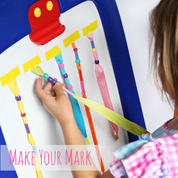 Activities to get your child started with the important basics: to develop skills to literally make their mark, first with fingers, and later with pens, pencils and paint brushes. 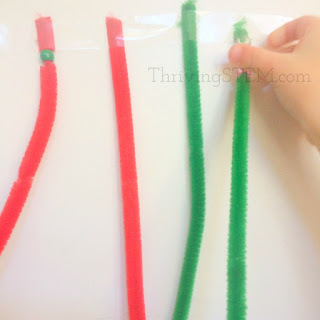 Fun ideas that will help your child develop their fine motor strength and dexterity. We have ideas for finger gyms, easel activities and first mark making activities with sticks, play dough and shaving foam. Great ideas to delight in imagination and storytelling that feels like - and is! - play time, not school work. Your child will develop their language, vocabulary and fluency through story mats, small worlds, comics, journals, role play, outdoor adventures, and art. 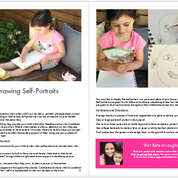 Activities that support your child in understanding themself and others, through interviews, self-portraits, collaborative art, and collaborative projects. out into the world, and consider how we are part of a community. With accessible and achievable projects we’ll inspire your child to make their mark through environmental citizenship and acts of kindness. 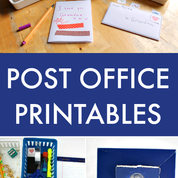 Also included: six sets of printables for you to download, including pattern writing cards, a 'my favourite things' photo book, 'all about me' interview sheets, pretend play post office accessories, and comic book and gracious giving printables. 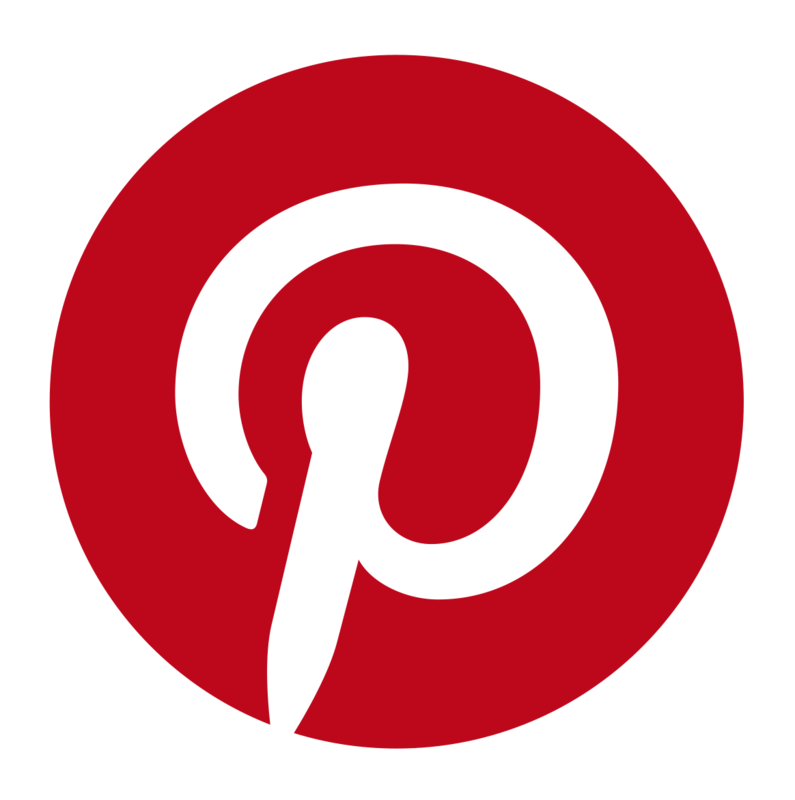 Would you like to have to have this resource ready and at your finger tips? During December you can get it for a discounted price. Then next time you need someone to just tell you how to do a great learning activity with your kid, you'll be all set. 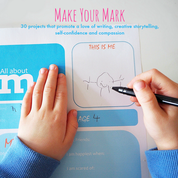 The Make Your Mark ebook, including six sets of printables, costs just $14.99. January 13-20, 2018, get it at half price!